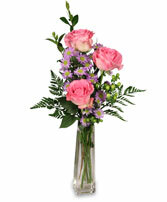 If you're looking for a way to show your love, but you know grand gestures aren't their style, Rosey Romance is the arrangement to send! 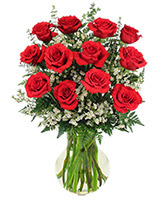 A half dozen short stem, red roses say "I love you" with all the grandeur of their long-stemmed counterparts in a smaller package. 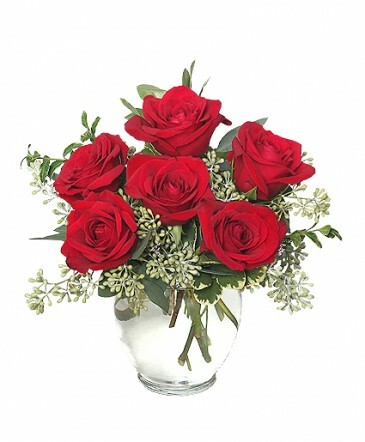 Are red roses not their style? Treat them to something with a little more passion! 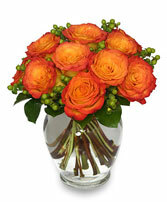 These Circus roses are a blaze of fiery excitement and just the thing to let them know how you really feel.